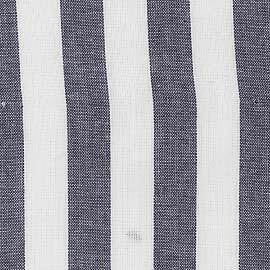 Woven or printed stripes of the same width and alternating between light and dark were very popular during the Regency era, 1795-1837. The actual dates of the Prince Regent, later George IV, 1811-1820, are known as the formal Regency. This era was a transition period in art, architecture, literature, fashion and culture between Georgian and Victorian. Queen Victorian was crowned in 1837. 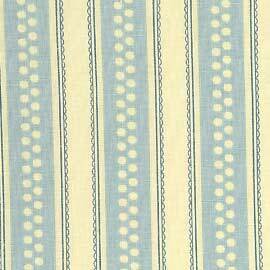 Also known as Bengal or tiger stripes, these fabrics were used for clothing as well as interiors.